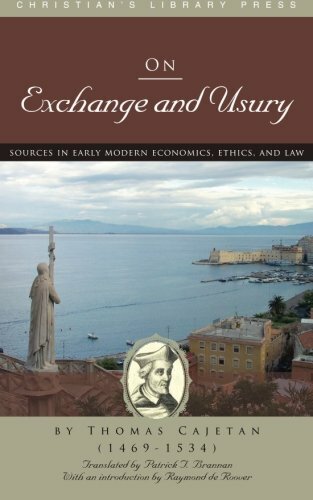 Christian’s Library Press has released a new translation of two treatises on exchange and usury by Thomas Cajetan (1469-1534), a Dominican theologian, philosopher, and cardinal. Although best known for his commentaries on the Summa of Thomas Aquinas, Cajetan also wrote dozens of other works, including short treatises on socioeconomic problems. Published under the name On Exchange and Usury, these treatises reflect on the banking industry of the early modern era in the context of the Church’s usury doctrine, examining which transactions were licit, and which involved usury, among other things. The book is part of CLP’s growing series, Sources in Early Modern Economics, Ethics, and Law. It goes without saying that medieval and Renaissance bankers could not afford to lend money gratuitously and that interest was charged surreptitiously by being concealed in the rate of exchange, but the theologians, including [Thomas] Cajetan, were unable to accept this fact without being forced to condemn all banking as usurious and to brand it as a sinful profession, like pawnbroking, histrionics, or prostitution. This was the ticklish problem with which Cajetan came to grips. 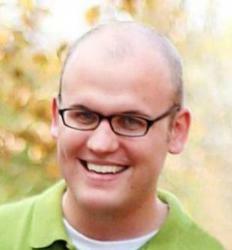 Although he was in sympathy with humanism, he approached the issue in scholastic fashion and tried to determine which exchange transactions were licit and which were illicit. In his tract, he starts out by dividing exchange transactions into three categories: those that were clearly licit, those that were clearly illicit, and those that were doubtful.